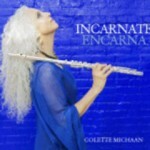 Flautist and composer Colette Michaan’s third release brings a refreshing take to the music industry. Incarnate Encarna, its title, features a wonderful mix of Latin and jazz music. With love as the central theme, Incarnate Encarna is perfect to listen to with your significant other. Album favorites are “Rico Melao” and “Historia De Un Amor”. Track listing: Incarnate-Encarna; Identidad; Intention; Obatala; Wisdom; Throw It Away; Rico Melao; Historia De Un Amor; Innocence. Returning with her third release as well is Joanne Tatham. Out Of My Dreams (Café Pacific Records) features Tatham’s sultry vocals and an all-star lineup of musicians. 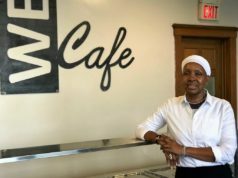 Joining Tatham are Tamir Hendelman, Jamieson Trotter, John Clayton and others. This album is a fabulous, one of a kind recording that includes Tatham’s interpretations of Harry Nilsson, Herbie Hancock, Dave Frishberg and others’ music. Track listings: You Taught My Heart To Sing; Without Him; Devil May Care; Vivo Sonhando; Cool; Double Life (Tell me A Bedtime Story); Detour Ahead; Too Long In LA; You’re Sensational; In A Lonely Place; Out Of My Dreams. 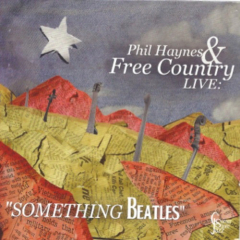 Last, but certainly not least is the new release, Something Beatles from Phil Haynes and Free Country (Jim Yanda, Hank Roberts and Drew Gress). Okay – I know the sum is innumerable when trying to tally all the Beatles’ interpretations that have been recorded. However, Phil Haynes and Free Country have covered Britain’s brightest exceptionally while incorporating their own exclusive musical technique as well as adding a few extra surprises. Something Beatles was recorded live which adds a special something to Haynes and Free Country’s jazzy bluegrass bravura. Album favorites includes “Here Comes The Sun”, “Something”, “Birthday” – well the entire set. What can I say – It’s the Beatles! Track listings: Shenandoah; Mari’s Wedding; Mother Nature’s Son; Let it Be; Here Comes The Sun; Something; Birthday; Revolution; Hey Jude.